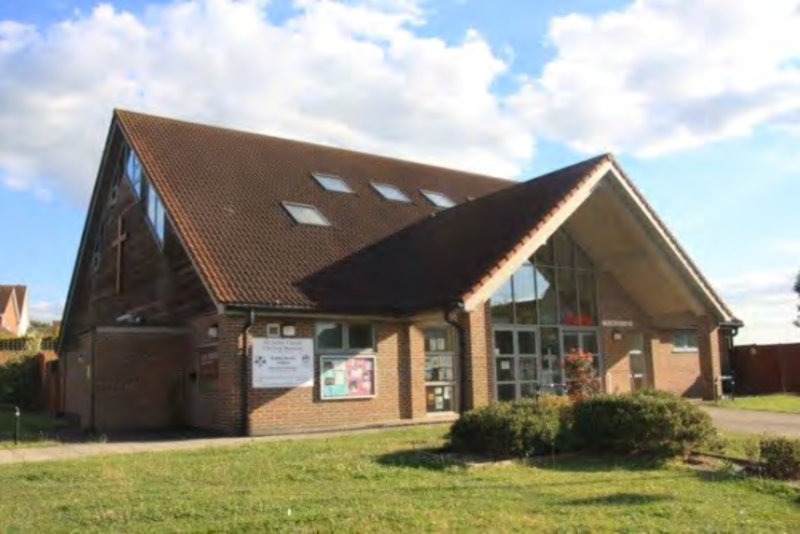 All Saints’ Church – occupies the central part of the ground floor of the Beacon Centre, which includes the Angel Café at the back that is open Monday to Saturday 9.00am to 4.00pm. The worship area is also open at the same time and can be used for quiet reflection, hanging personal prayers on our “prayer tree” and lighting candles to help personal prayer and reflection. 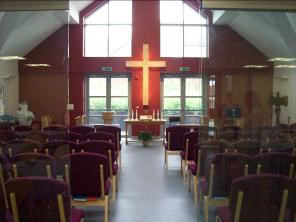 Sunday worship at 11.00am has an informal atmosphere and children are welcomed and included in every service. The 2nd and 4th Sundays are Holy Communion services, but every service has an air of informality within an Anglican context. On most Sundays the congregation extends back into the café area which includes sofas and tables. The building itself is very modern with disabled access, toilets and kitchen. The Sunday congregation ranges from 30-70 adults and children and provides an Anglican presence and worship within this wider resource. All Saints has seen much growth during the last year or so. On most Sundays we have a musician and songs are projected on a large screen and, when possible, hymn books are offered as an option to correspond with the words on the screen. All Saints’ has focused on engaging more fully with the local community on Chafford Hundred, in outreach events such as the Alpha course, Community Fun Day, Community Carol Service, Men’s Breakfasts, Women’s Social Events, Quiz Nights etc. and with participation in things like 40 Acts from Stewardship. We’ve seen an increase in infant Baptisms, and there has also been some opportunities to lead Collective Worship in one of the local primary schools, leading to 500 students over three days visiting All Saints for an Advent Carol service last year. 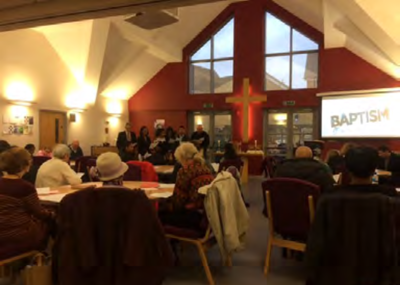 The congregation at All Saints’ is a multi-cultural, evolving congregation; many generations meeting together as one family to worship. There is much enthusiasm, and many members are committed to using their God-given gifts in service of the local community. Visitors and anyone who is just looking is most welcome to come and see.